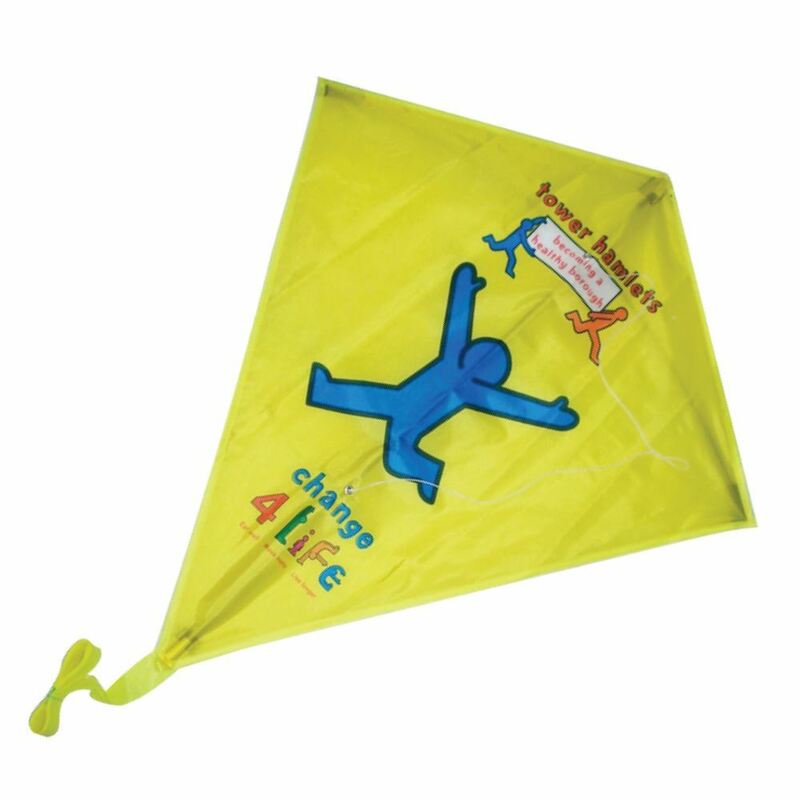 Sky Diamond Kite. Classic diamond shape allowing for easy assembly and offering a large print area. Made from colour matched material. Supplied with instructions. Size: 60cm x 70cm. Material: Nylon with fibreglass frame. 40m single line.